One effect of the rapid increase in property values in the capital has been the closure of many affordable workspace providers. Artists studios are typically located in old, cheap industrial properties that have proved perfect for conversion into residential or high-priced commercial schemes. Redevelopment has forced many workspaces to close permanently, with this problem being compounded as property owners looking to convert empty buildings no longer offer suitable leases to artists studios, even for temporary use. 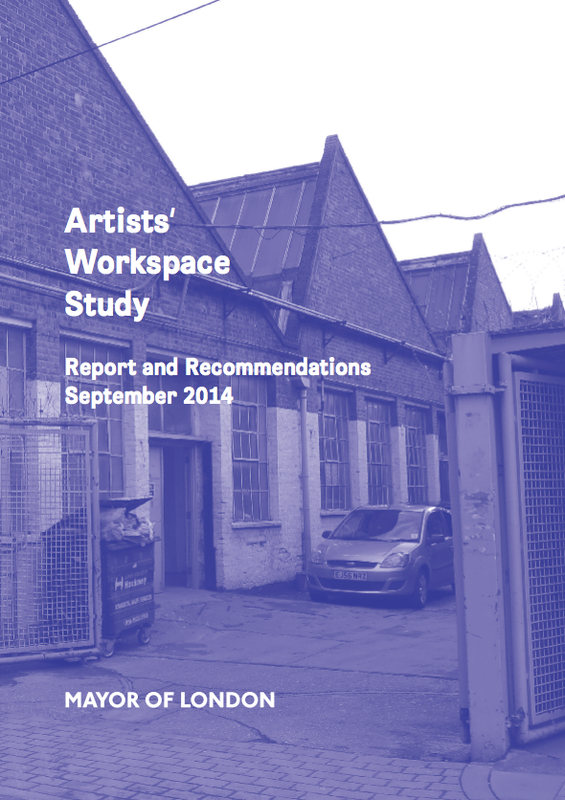 There has been a catastrophic reduction in artists studios and workspaces for the creative industries in recent years. At the end of 2014 the Greater London Authority conducted research that identified 30% off all the capital’s studios would close by 2019. Unfortunately this prediction was optimistic and in some boroughs, including our local Southwark, there has already been a 60% reduction. Southwark Studios took the approach that redevelopment of our old studios (see our history) was going to happen and working with those involved to secure a new, long-term home would be more practical than fighting against change. We started by talking with the land owners and Southwark Council at the earliest possible stage, creating a dialogue that ultimately lead to the inclusion of affordable artists studios within the redevelopment plans for our old site. The process from introduction to achieving a deal took us over seven years and subsequently has lead to the development of our separate strategy to now provide our successful project as one solution to the reduction of similar affordable workspace in the capital. By the time planning permission to demolish and redevelop our old studios into a mixed-use (mostly residential) site was granted in 2016, Southwark Studios had become an integral part of the developers vision and our local council's strategy for the site. We achieved this through years of meetings, strategy guidance, educational talks and negotiation that ultimately resulted in the most detailed Section 106 agreement ever produced for a workspace provider. This agreement legally locks in Southwark Studios inclusion and new long-term affordable home with the planning permission to redevelop our old site. We believe that the details this agreement we have pioneered can provide a model solution for London to the threat that increasing land values and redevelopment pose to the capital's creative workspaces. We have a blueprint for the successful integration of artist's studios within a redeveloped mixed-use site. Today we are looking to use our specialist knowledge, experience of this process and first-of-it's-kind agreement to help other artist studios and struggling community and creative charities like us with the challenge of preserving their home in London. 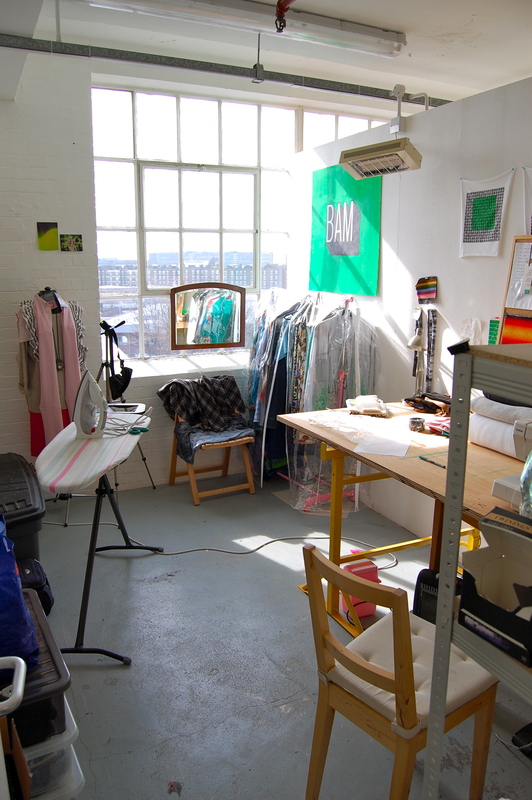 Our proven and successful model can be easily replicated to ensure the provision of affordable space that supports artists, employers and creative start-ups. If you would like more information about our work in long-term solutions for the creative industries please contact us. 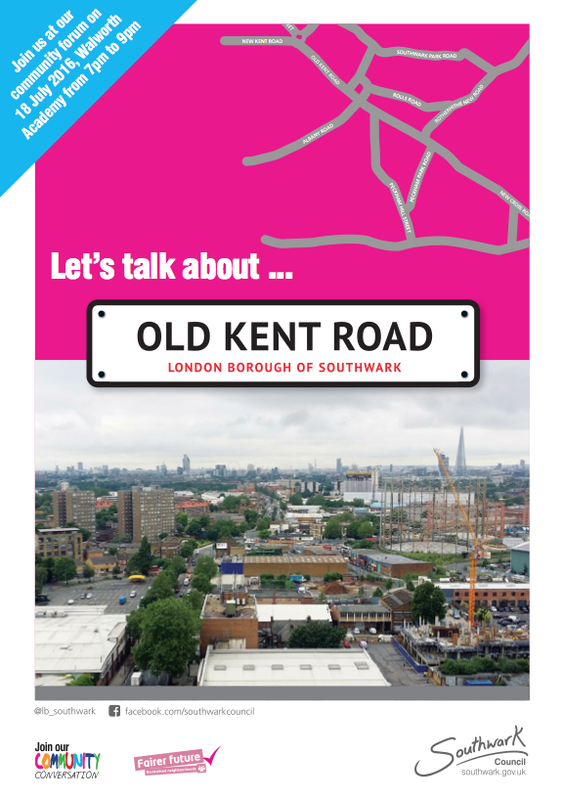 There will be a big change to the Old Kent Road over the next 15 years. Wide scale redevelopment, including the confirmed Bakerloo line extension, will completely transform the area. Southwark Studios feels this presents an amazing opportunity for the Arts and Cultural organisations already based in this area, and for London’s creative community as a whole. Southwark Council have spent years visualising, planning and consulting on what this redevelopment should look like. 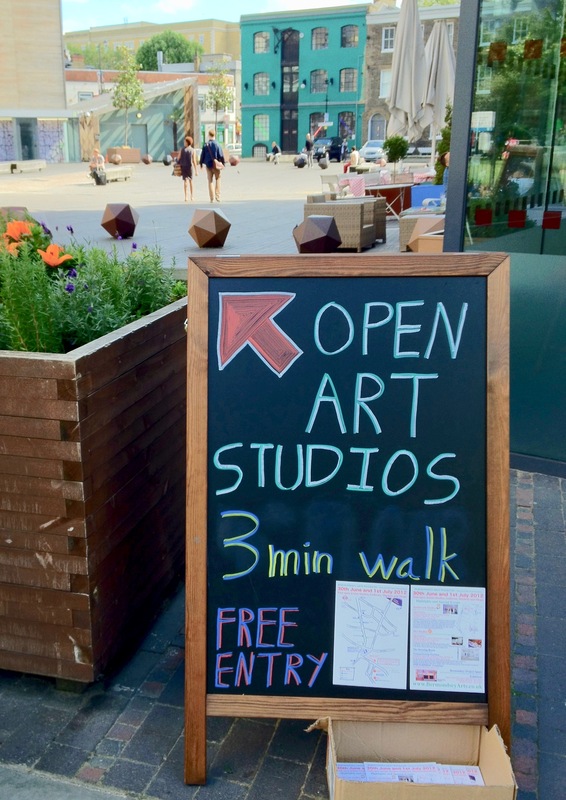 Our vision is that the Old Kent Road becomes known as a new cultural hub and a destination for the Arts. This will only happen with long-term strategy that gets the right level of support. Establishing creative communities brings cultural, economic and social benefits to regeneration schemes. There are benefits to local residents through engagement with exhibitions, open studios and educational event. This then also assists the aims of developers to establish new vibrant, integrated communities in which people are happy to live. Arts & Culture organisations do not have to be a victim of redevelopment, they should be an integral part of it. This is an opportunity for the Arts to establish a new home in central London through a strategy that provides affordable long lease opportunities for workspace providers and arts & culture organisations, brokered through planning agreements between Southwark Council and developers. Southwark Studios has already worked closely with Southwark Council and provided their own 'Action Plan' with the first and only example of integrating artist studios within a new mixed use development within the Old Kent Road Opportunity Area (see quote below). We are also a Southwark Council Approved Workspace Provider. This is part of our long-term strategy to provide a solution to the rapidly declining availability of workspace for London’s creative sectors. Our model can be easily replicated throughout the Old Kent Road, shaping it into a cultural hub destination for the new residents, current locals and future visitors to the Arts organisations based within a redeveloped Old Kent Road. Southwark Studios are looking to develop multiple sites and we are here to talk with local authorities, developers, land owners and organisations who wish to know more about our experience in this area. We can provide answers and advice based on our own local successful example. "With SMEs making up over 99% of businesses in Southwark, the council is conscious that a steady supply of flexible, modern office space under 500 sqm is required to meet demand. Policies emerging in the New Southwark Plan require consideration of managed workspace and flexible smaller units in new developments which will accommodate this growing trend. This is particularly pertinent in the Old Kent Road area where industrial land, creative industries and flexible commercial space operate in the area. The potential redevelopment of the Rich Estate on Crimscott Street is an example of how mixed use communities can be created with the incorporation of useable commercial space within residential development and avoiding the displacement of existing creative and commercial uses."